What a bargain! 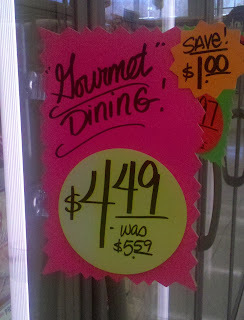 Extra quotation marks, and all for only $4.49! Once again, thanks to "Nick" Zachariasen for discriminating taste in signage.